These are the general terms and conditions of thealesway.com for use of this Site. Please read these terms and conditions carefully. You must be at least 18 years of age to purchase goods from our shop. You must supply proof of age on request. The Ales Way website is marketed and administered by the Upper Wharfedale Community Interest Company, (UWCIC). You may not remove or change anything on this Site. You may not include or create links to or from the Site, without the written permission of UWCIC. You are not allowed to remove or change any copyright, trademark or other intellectual property right notices contained in the original material or from any material copied or printed off from the Site. You are not allowed to copy or use any material from the Site for any commercial purpose. You must only use the Site and anything available from the Site for lawful purposes, and you must comply with all applicable laws, statutes and regulations. You agree that the use of this site is at your sole risk. UWCIC and thealesway.com, does not accept any liability for financial loss or misadventure caused by the information and/or services provided on its website. UWCIC and thealesway.com shall have the right at any time to change or modify the terms and conditions applicable to the Client’s use of thealesway.com, or any part thereof, or to impose new conditions, including, but not limited to, adding fees and charges for use. This promotion is open to customers aged 18 or over. 1 stamp = 1 pint of Wharfedale Brewery Beer per pub. 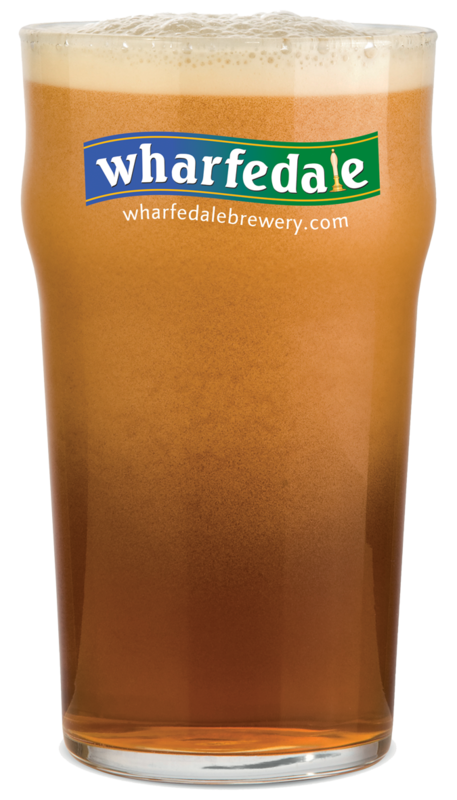 Customers must collect 10 stamps to claim their complimentary pint of Wharfedale Brewery beer at least 12 stamps to claim their free Ales Way T-shirt. Complimentary pint of Wharfedale Brewery beer must be claimed and consumed at the Flying Duck in Ilkley and does not count as one of your stamps. T-shirts must be claimed and picked up from the Flying Duck in Ilkley. Postal applications for T-shirts are acceptable along with a cheque/postal order payable to Upper Wharfedale CIC for £2.50 to cover postage and packagaing. Discounted Wharfedale Brewery bottle set, containing two bottles of beer and a branded pint glass must be claimed, picked up and paid for from the Flying Duck in Ilkley at a cost of £5. Unfortunately bottle sets can not be posted to you. Please follow the Ales Way code. NB. One t-shirt, one complimentarty pint, and one discounted bottle set per person. Payment must be made in full via PayPal prior to despatch of all online orders. In the event of non-authorization of payment we will contact you to advise. We do not accept liability for any losses or costs incurred or sustained by customers who transmit credit or debit card information. Stocks of t-shirts are subject to availability. For postal applications, delivery of t-shirts is by a national carrier. Delivery is normally within 28 days, but is subject to any event that is beyond our reasonable control. Deliveries are to the UK mainland only. For deliveries outside of the mainland please contact us. Unfortunately we are unable to accept returns of t-shirts. Please check your size before ordering. Usage of your personal information is governed by the directors of UWCIC. In the event that UWCIC or thealesway.com undergoes reorganisation or is sold to a third party, you agree that any personal information UWCIC holds about you may be transferred to that reorganised entity or third party. Unless otherwise noted, all material including stories, images, and page content within the thealesway.com website is copyright ©2016. It may not be reproduced in whole or in part without the express permission of the owner. All trademarks, brands, images and names appearing on this site are the intellectual property of their respective owners. thealesway.com makes no guarantee of availability of the website services and will not be held responsible for data loss or interruption of service of any kind. The user must accept that the site may be unavailable at times due to reasons within or beyond our control, and that your access to the site is at our sole discretion. We may revoke your access at any time, or limit, modify or discontinue services with or without notice, without liability to you, any other user . It is your responsibility to check any rules or conditions relating to third parties and this site cannot be held responsible for any errors or omissions. thealesway.com may be linked to or from other websites that are not maintained by UWCIC. UWCIC and thealesway.com does not control in any respect any information, products or services offered by such other websites and shall not be responsible for their content . UWCIC and thealesway.com may suspend the operation of the Site for repair or maintenance work or in order to update or upgrade the contents or functionality of the Site from time to time. Access to or use of the Site or any Sites or pages linked to it will not necessarily be uninterrupted or error free. UWCIC and thealesway.com may terminate this agreement and your right to use of the Site and/or the Services immediately in the event you breach any of these terms and conditions or any time at wharfedalebrewery.com's discretion. In no event will wharfedalebrewery.com be liable to the Client for any consequential or indirect loss or damage (whether for loss of profits or anticipated profits or gains, including loss of profits on contracts, business revenue, goodwill etc) howsoever arising out of or in connection with the Service.